(Marblehead, MA) – ALINE, creators of a new class of golf equipment that replaces your shoes insoles, announced the results of a recent study done on the performance and earnings of Professional Golfers prior to and subsequent to putting ALINEs in their shoes. An analysis was done of Money Earned by 18 Professionals who recently started wearing ALINEs in their shoes and the results were amazing. Total Money Earned by these 18 Players in five events prior to wearing ALINEs was $4,431,700.00. Total Money Earned in five events subsequent to adopting ALINEs was $6,960,000.00. That’s an average increase in winnings of over 57% and all 18 Players rank in Top 50% of 2016-2017 Money Earners! To date more than 100 Players, Caddies and industry professionals have worked with the ALINE technical staff. They’ve all recognized the benefits of wearing ALINE both on and off the course. More than 40 Professional Golfers have worn ALINE this year. So far this season, three victories have been achieved and over $7.3 Million have been earned by players with ALINEs under their feet. For more information on ALINE visit their website at www.ALINE.com. Founded in 2005 by a team dedicated to improving performance and health from the ground up, ALINE patented technology optimizes a golfer’s performance by properly aligning the back, hips, knees and ankle. This helps reduce lower body fatigue and improves swing mechanics, resulting in maximization of ground force reaction for more distance and accuracy. Proven by 10 Professional wins, Olympic Gold Medals, over 100 X Games medals and doctors across the country, ALINEs are designed for performance in sports and life. ALINE makes similar equipment for Skiing, Snowboarding, Hiking, Cycling, Gym Workouts, Running, Walking and General Fitness activities. ALINE…what’s inside counts. ALINE insoles help Athletes get on the Podium in Pyeonchang and win on Professional Golf Tours. (Marblehead, MA) – ALINE, creators of a patented new dynamic suspension insole that aligns your body for more consistent and healthy motion, has worked with over 1000 world class athletes across professional football, baseball, hockey, basketball, golf, ski, snowboard, track and field. “We work with athletes that are required to do some of the most extreme motion in sports (skiers and snowboarders), some of the most precise motions in sports (golfers) and all motions in between. One of our founders, Gordon Hay, said that to me on my 1st day here and it really encompasses what ALINE is all about”, said Art Rogers President of Global Sales and Marketing. “ALINE insoles are designed to allow your feet to move naturally while aligning your back, hips, knees and ankles. This can help any athlete, professional or weekend warrior, stay healthy. During the last few weeks we have seen amazing performances on the professional Golf tours with Four (4) wins and Ten (10) top 5 finishes by golfers with ALINE in their shoes. In addition over 25 medals were won by Skiers and Snowboarders at the X-Games and in Korea with ALINE in their Boots”. “Whether your activity is extreme, precise or just walking your dog, there is an ALINE benefit for you”, added Rogers. 2 Time Gold Medal Winner Jamie Anderson (pictured here) of Snowboard Slopestyle and Big Air fame is one of ALINE earliest adopters on the slopes. She appears on the company website, aline.com and facebook page discussing her experiences riding with ALINE. ALINE Systems, Inc. is a 13 year old Marblehead company that was founded by Marbleheaders Derek Carroll, Gordon Hay along with Keith Orr of Portsmouth, NH. They are located at 30 Doaks Lane in Little Harbor. “Our goal has always been to help people move better, longer and healthier. Wearable wrist devices have done a great job helping people track the quantity of steps they take, “ said Derek Carroll Co-Founder and CEO. At ALINE we have a relentless pursuit for improving the QUALITY of steps you take every day”. If you are walking, running, playing tennis, or really doing anything out of alignment, you are not getting the full benefit from your activity with those 10,000 steps a day, “ added Carroll. 6 Time PGA Golf Majors Winner Sir Nick Faldo is also an ALINE loyalist. He is pictured here with ALINE CEO Derek Carroll at the Eastern Yacht Club in July of 2017. Sir Nick was in town playing in the PGA U.S. Senior Open at Salem CC and joined the ALINE staff for a reception on the famed Eastern Harborfront Deck. Faldo hopes to play more tournaments this season between his busy broadcast duties with CBS and the Golf Channel. “Each week, more and more Professional Golfers are discovering the advantages of wearing ALINE in their shoes,” said Carroll. “It’s exciting for us to see players winning almost every week with ALINE in their shoe and I can tell you the Players are excited too! When you’re providing benefits like increased power and distance, improved balance and accuracy, and a decrease in fatigue, the Players have taken notice. This is their livelihood”, added Carroll. To date more than 100 Players, Caddies and industry professionals have worked with the ALINE technical staff. They’ve all recognized the benefits of wearing ALINE both on and off the course. ALINE products are available online at shop.aline.com, through hundreds of medical providers coast to coast and at select specialty run, hike, bike and ski shops around the country. To see the ALINE Insoles Jamie and Sir Nick are wearing – Click Here! Founded in 2005 by a team dedicated to improving performance and health from the ground up, ALINE patented technology optimizes a golfer’s performance by properly aligning the back, hips, knees and ankle. This helps reduce lower body fatigue and improves swing mechanics, resulting in maximization of ground force reaction for more distance and accuracy. Proven by 15 Professional wins, Multiple Olympic Gold Medals, over 100 X Games medals and doctors across the country, ALINE insoles are designed for performance in sports and life. ALINE makes similar equipment for Skiing, Snowboarding, Hiking, Cycling, Gym Workouts, Running, Walking and General Fitness/Wellness activities. ALINE…what’s inside counts. (Marblehead, MA) – ALINE, creators of a new class of golf equipment that replaces your shoes insoles, announced today that Tour Professionals, including Ken Duke, Kevin Na, DA Points and over 40 more have worn their patented Foot Suspension System this year. Each week, more and more players on the Tour are discovering the advantages of wearing ALINE. Tour Rep Mark Gerent stated, “in my 15 years working on tour this is the broadest adoption of a new product I seen.” To date more than 100 Tour players, caddies and industry professionals have worked with the ALINE technical staff. They’ve all recognized the benefits of wearing ALINE on the course and off. So far this season, three victories have beenachieved and over $5,000,000.00 have been earned by players with ALINEs under their feet. ALINE Golf is engineered with the World’s First Foot Suspension System, designed to help improve performance and comfort on the golf course. Founded in 2005 by a team dedicated to improving performance and health from the ground up, ALINE patented technology optimizes a golfer’s performance by properly aligning the back, hips, knees and ankle. This helps reduce lower body fatigue and improves swing mechanics, resulting in maximization of ground force reaction for more distance and accuracy. Proven by 10 PGA Tour wins, Olympic Gold Medals, over 100 X Games medals and doctors across the country, ALINEs are designed for performance in sports and life. ALINE makes similar equipment for Skiing, Snowboarding, Hiking, Cycling, Gym Workouts, Running, Walking and General Fitness activities. ALINE…what’s inside counts. Media members interested in field testing ALINE Golf’s Foot Suspension System for an editorial review should contact Joe Wieczorek joe@themediagroupinc.com of The Media Group or call (847) 956-9090. For Immediate Release: Each year ALINE invites members of its over 1,000 ACE (ALINE Certified Expert) providers to participate in events around the country supporting professional and elite athletes. This year Austin’s CHARM (Center for Healing and Regenerative Medicine) Supported ALINE during the Summer X Games. CHARM is dedicated to helping patients prevent, manage,and treat movement based injuries, these providers incorporate the ALINE insole in their practice on a daily basis and now to the world’s most extreme athletes. The ESPN X Games are a collection of competitions in which extreme athletes compete throughout multiple disciplines in hopes for the gold. ALINE has been working at both the Winter and Summer X Games for just over 10 years now and works directly with the athletes in their exclusive tent to help them perform at their best while they are competing. About CHARM, they believe the human body – your body – has everything required for complete recovery held within it. Our purpose and privilege as your health care partners is to provide an environment focused on removing the barriers and facilitating your body’s innate capacity to heal. By never settling for the status quo, our vision at CHARM is to see Austin, Texas as the leader in the United States for Regenerative and Restorative Medicine. Thursday (Day One of X Games) CHARM Center for Healing and Medicine sent Carrie Zika and Dr. Ben Rawson to support ALINE Athletes. ALINE Inventor & Co-Founder Gordon Hay met Carrie and Ben with credentials to access all of X Games events, services as well as the exclusive Athlete Lounge. First stop to meet with ALINE partner and X Games on site medical services provider Robb Blackaby, Founder of Medicine in Motion (also an ALINE Provider). Dr. Blackaby and Dr. Rawson discussed the complexities involved with medically managing extreme sport events like the X Games. Dr.Robb has a talented staff of 18 first responders to service injuries as they frequently happen. The second stop was the exclusive Athlete Lounge where ALINE provides biomechanical services to just about all the athletes. This year was exciting because we were celebrating the 10th year of working with ALINE. Dr. Rawson jumped right in to help assess and advise X Games and Olympic Athletes, starting off with with Olympian and X Games Gold Medalist athlete Jarryd Hughs. While finishing up with Jarryd, Dr. Rawson met and assessed 4 time gold medalist Kyle Baldock as well as soon to be Gold medalist Kevin Peraza for some new pairs of ALINE Cycles to go in their shoes for competition. Dr. Rawson and Carrie Zika assessed athletes on the medical sideline of the famous BMX Dirt training. This was a great opportunity to get an upclose view at X Games Athletes and see how they work in their profession. All ALINE Athletes this year were pushing the envelope and dominated the podiums in Austin. Friday (Day Two of X GAMEs) We were excited and fortunate to have Carrie Zika around with ALINE as Carrie supported ALINEs busiest day on Friday, Working with many of the world’s most extreme athletes such as Ronny Renner, 8 time Moto X Gold medalist. Saturday and Sunday (Days Three and Four of X GAMEs) Saturday and Sunday CHARM Centers founders Dr. David Harris and Michelle Harris PT Helped assess and advise athletes. It was definitely not your average day in the park as team CHARM helped ALINEd athletes dominate the BMX and Skateboard park podiums! Long-time ALINE athletes Dennis Enarson and Pedro Barros lock down the Gold. …The gold medals poured in as ALINEd athletes captured 14 out of the 15 possible Gold Medals here at the 2016 X Games Austin! Carrie Zika & Dr. Rawson meeting and assessing athletes. ALINE does many events like the X-Games all throughout the country, including PGA Tour stops, numerous trade shows, health symposiums, marathons, and other fitness events. If you or your clinical staff would like to participate with ALINE at one of these events please contact us. ALINE was founded to improve how people move from the ground up. We believe when we improve movement patterns, we can reduce injuries and reduce the need for surgeries. This Wall Street Journal article agrees. As more people experience painful problems with their feet, podiatrists are recommending they consider a range of nonsurgical treatments before choosing to go under the knife. Many patients have a misconception that most foot ailments can only be treated with surgery, experts say. Instead, depending on the severity of the problem, nearly all foot ailments can be treated without surgery, they say. Among these are bunions, plantar fasciitis, hammertoes and metatarsalgia, or pain in the ball of the foot. Treatment techniques include ultrasound-guided injections that deliver anti-inflammatory drugs to the precise site of the pain and shock wave therapy that promotes soft-tissue healing. Some treatments, such as insoles that redistribute the pressure on the foot and physical therapy, aim to address the cause of the foot problems, which can help prevent them from recurring. When Floria Antell, 76, developed a bunion on her left foot two years ago, her podiatrist suggested a surgical procedure that involved cutting out part of a bone in her foot and resting for eight weeks. But Ms. Antell, who does Pilates three times a week and walks her dog 2 miles a day, didn’t want to spend months on the couch. Rock Positano, director of the Nonsurgical Foot and Ankle Service at New York’s Hospital for Special Surgery, says many foot problems stem from what he calls a ‘pathological foot type,’ such as flat feet or too-high arches, which cause people to put too much pressure on parts of the foot. “It was so important to me that I didn’t have to be in bed for months, but I also learned how to take care of my feet better,” Ms. Antell says. Doctors say foot ailments are becoming more common, especially as the population ages and people remain physically active for more years. “Just compare what people in their 60s and 70s do today with what our grandparents did when they were that age,” says Dr. Turner, of the Mayo Clinic. Walking on hard surfaces, such as concrete, is hard on the joints, and the growing incidence of obesity creates more wear and tear, he adds. All surgeries carry risks of complications, such as infection, Dr. Turner says. And even when nonsurgical treatments don’t fully fix a problem, they often delay the need for surgery, which is helpful because some surgical procedures don’t last forever, he adds. Artificial ankle replacements, for example, can wear out. And problems like bunions can reappear years later if the cause, which is often linked to poor walking patterns, isn’t corrected. Foot insoles and physical therapy are generally the first line of treatment, says Dr. Positano. 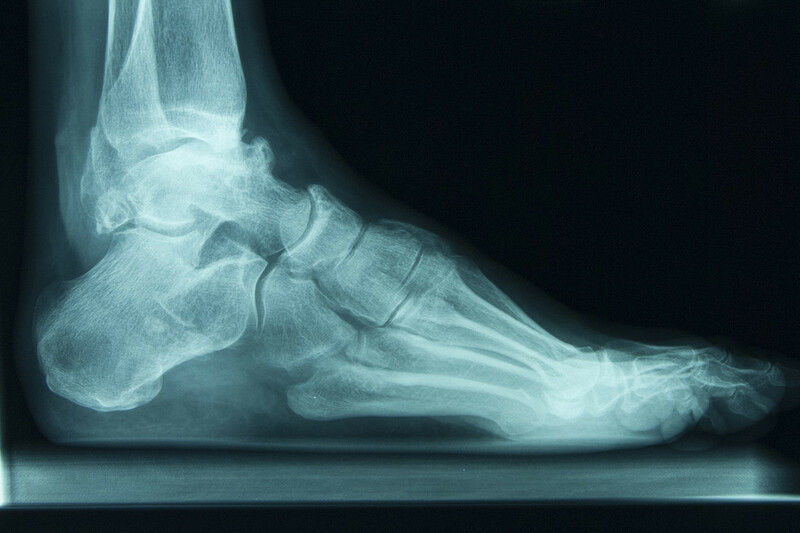 Many issues stem from what he calls a “pathological foot type,” such as flat feet or too-high arches, which cause people to put too much pressure on parts of the foot. Foot insoles, or orthotics, can change the foot type by putting stresses in different areas, balancing it differently or working as a cushion. Ankle braces are also frequently used temporarily to take pressure off the ankle. A type of shock wave therapy called extracorporeal pulse activation treatment, or EPAT, is increasingly popular in the world of sports medicine and is now often used for foot problems like plantar fasciitis, tendinitis and shin splints. During the procedure, the doctor applies gel to the affected area and massages it with a special wand like device that delivers acoustic pressure to the area and stimulates the blood flow to accelerate healing of injured tissues. Dr. Norman Turner, an orthopedic surgeon at the Mayo Clinic, recommends that to keep the foot flexible, people trace the letters of the alphabet with their feet. In the course of making the shapes of A to Z, the foot will go through the entire range of motion. For issues such as arthritic big toes, ankle problems and heel pain, ultrasound-guided injections are another option. “The ultrasound-guided injections are very precise,” making the treatment more effective, Dr. Positano says. Physical therapy is helpful both as treatment and for preventing ailments, Dr. Turner says. Touching the toes and stretching the Achilles tendon and hamstring keep the body limber and ward off injuries. Something as simple as standing on one foot at a time strengthens balance, which will minimize the tendency to roll and create ankle strain. To keep the foot itself flexible, Dr. Turner recommends people trace the letters of the alphabet with their feet. In the course of making the shapes of A to Z, the foot will go through the entire range of motion. Another popular strengthening exercise uses TheraBands, the resistance tool popular with athletes and dancers. People should sit on the floor with their legs straight out in front. Wrap a TheraBand around the sole of the foot then flex and point. Moving against the band’s resistance is good for the muscles in the sole and the top of the foot. Christopher Hubbard, chief of the foot and ankle service at Mount Sinai Beth Israel in New York, says roughly 90% of common foot ailments can be treated without surgery. Ellicottville (NY) locals know Miguel Azcarate for many things. He’s a former professional ski racer from Spain. He and his wife Kimberly Reading own the landmark Mud Sweat n’ Gears Ski and Snowboard Shop. He is the Training Center Director at Holiday Valley. 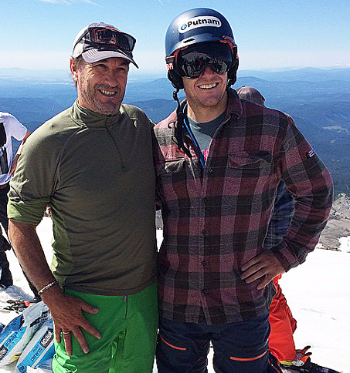 He’s a longtime ski coach who operates the Ligety Weibretch Summer Ski Camp in Mount Hood, Oregon, coaching alongside Ted Ligety and Andrew Weibretch. Now he’s adding something new to his long list of credentials: Azcarate was asked by U.S. Ski Team to be a guest coach at the men’s fall speed camp in Chile. “I’ve worked with many coaches and athletes from the World Cup and U.S. Ski Team for the last seven years at our summer ski camp in Mount Hood,” Azcarate explained. “These athletes are the best skiers in the world, so I’m looking forward to this opportunity,” he said of his upcoming 2-3 week-long trip. In Chile, Azcarate will be coaching Ligety and Weibretch, as well as Marco Sullivan, Steve Nyman and Travis Ganong, although no specific duties are on the docket as of yet. “I will be helping with anything they need,” Azcarate said. The camp will be held at Corralco Ski Area, a premier race training venue in the southern part of Chile. While heading to Chile may be a culture shock to many, Azcarate is very familiar with the country. “I spent many years ski racing in Chile, specifically at Portillo, La Parva and Termas de Chilan. I’m really looking forward to skiing in Chile again,” he said. Unquestionably, Miguel knows the sport of skiing. Azcarate originates from San Sebastian, Spain and has skied throughout Europe and North and South America. He took a liking to ski racing at a young age in the western Pyrenees Mountains and started racing extensively throughout Europe. Through skiing and the love of travel, Azcarate made his way to Ellicottville, and has called it home for the last 30 years. 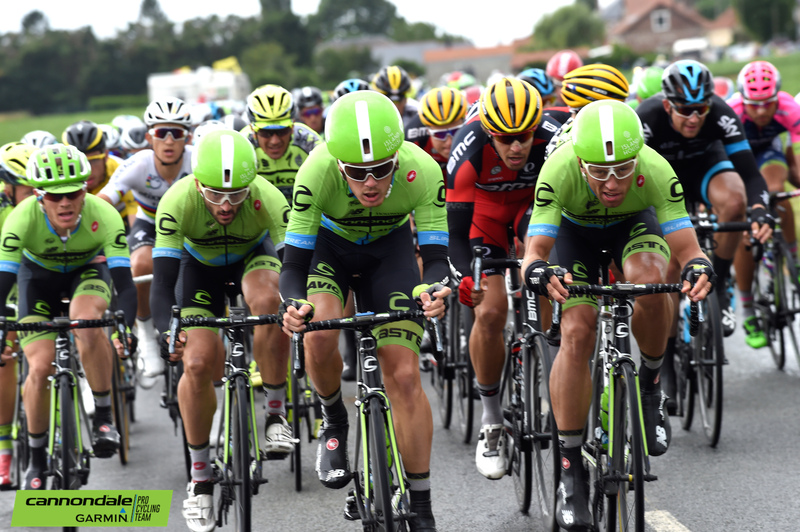 This year’s Tour de France is drawing to a close this Sunday as today marks the 19th stage of the epic 2,200 mile, 21 stage race. Running over a variety of flat, hilly, mountainous and high altitude terrain, the Tour is considered one of the most prestigious endurance events in the world, the equivalent of running a marathon every day for a month. Yet for all the money spent on high performance bikes (which might cost more than your car), amateur riders and spectators might not consider the importance of the simple act of pedaling efficiently. It’s something the pros know all too well. Considering the average pedal rate, or cadence, of a professional cyclist is around 90-100 revolutions and the Tour takes around 85 hours to complete, the historic event involves roughly 500,000 crank revolutions. Seen in this way, it’s half a million steps to victory. Given this raw math, the pros spend hours refining their pedalling technique for maximum efficiency. They know small improvements in this simple act will produce more wattage per stroke and be multiplied by half a million revolutions in the end. Wasting motion can mean the difference between victory and defeat and consequently it’s important that the leg and foot are aligned in the pedaling motion. ALINE’s patented lower leg alignment products allow cyclists to move their feet the way nature intended for improved balance, control and power transfer. By balancing the foot within the cycling shoe, ALINE products mean improved efficiency, less fatigue and injuries. ALINE has been producing insoles for professional cyclists for the past ten years now and we’re happy to assist cyclists and triathletes in their pursuit of victory. Contact us if you are interested in how ALINE can help improve your cycling.